A true Range Rover in compact form. 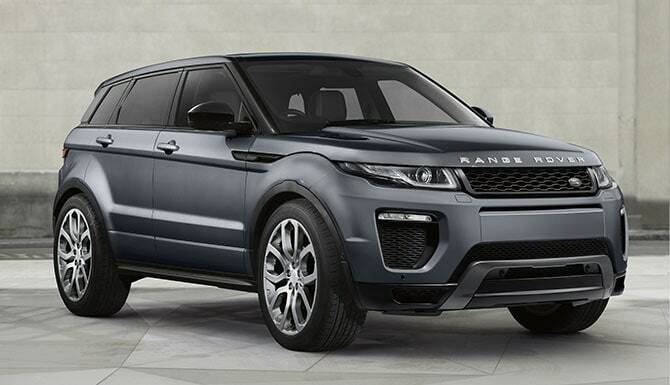 The Evoque’s characteristic profile gives it a modern, edgy look. It’s at home in city traffic but its Range Rover heritage means it’s also an expert at tackling wet, muddy countryside. Inside, the driver is rewarded with an array of luxury and hi-tech options that you can customise to suit your style. 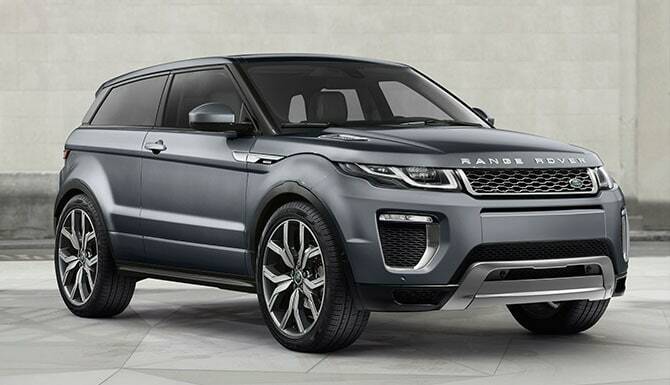 Just one more way the Evoque is unlike any other car out there. CAPABLE, MUSCULAR – AND PERSONAL TO YOU. Range Rover Evoque has a capable, athletic body shape. But this is a mere starting point. A range of alloy wheels, colours and trims means you can make the vehicle distinctively yours. Likewise, you can personalise the interior with your favourite textures and colours in twin-stitched leather, with aluminium or wood veneers. Another option is the panoramic roof, to flood the cabin with light. 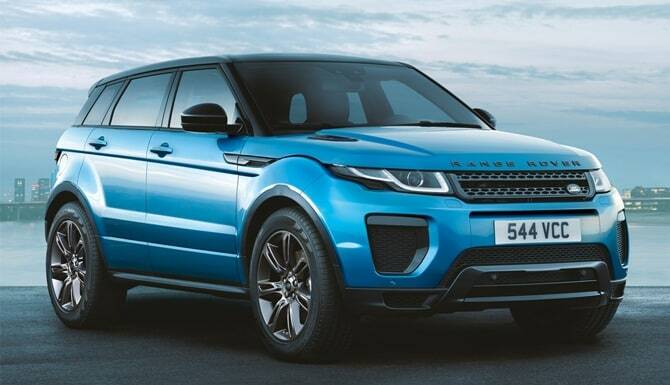 Range Rover Evoque’s automatic nine-speed transmission shifts effortlessly through the gears, enhancing comfort and agility and minimising fuel consumption. 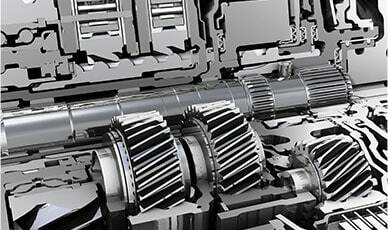 And if you choose the eD4 (2WD) version, our E-Capability solution means your CO2 emissions can be as low as 109 g/km. 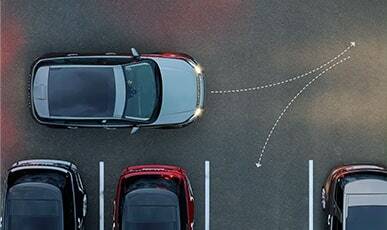 Intelligent Park Assist is perfect for the city. 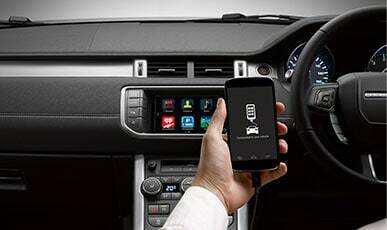 Using sensors, it identifies suitable parking spaces and helps you parallel park in tight spots. It automatically steers you into the space – and out of it, when you’re ready to leave. You just operate the accelerator and brake. In the great outdoors, Terrain Response technology adjusts vehicle settings to grip whatever the surface, from mud to sand. When crossing water, sensors alert you to the depth. Back on tarmac, Active Driveline monitors terrain and de-couples 4WD when not needed, instantly reactivating it if conditions change. Finally, Adaptive Dynamics constantly monitors and reacts to vehicle movements, tuning the suspension for a dynamic but controlled experience. City-ready with bold design and Land Rover capability. For a truly connected drive with a little extra technology and convenience. The Landmark Edition takes design to the next level. More sporting appeal, with enhanced design outside and in. Sporting appeal with a touch of luxury. For a truly connected drive with generous convenience features. 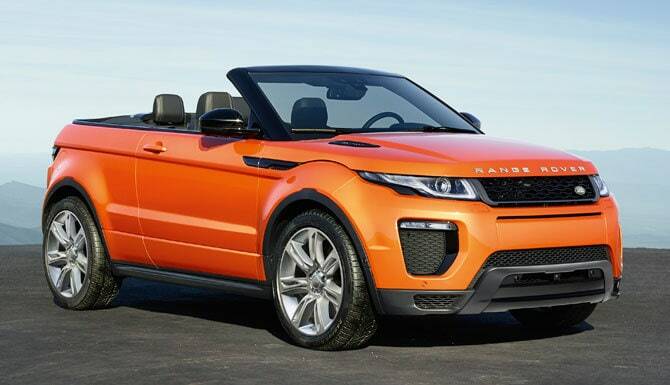 An open-top with sporting appeal and enhanced design, outside and in. A luxurious open-top bristling with advanced technology. 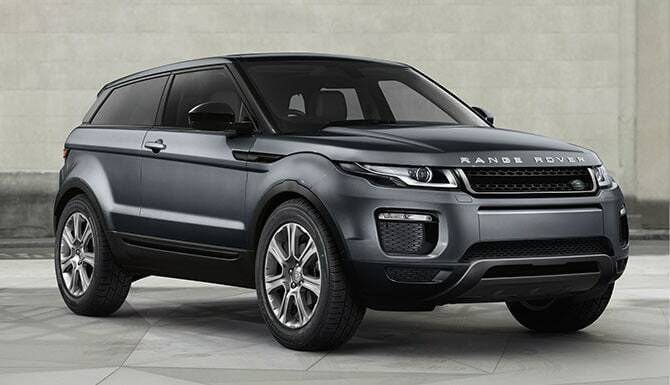 Now that you’ve explored the stylish evoque’s features find the one for you.